11/10/18 – Manny has been adopted, having been spotted on Oldies Club! He’s happy to report that he’s being spoilt rotten in his new home! Poor Manny has such a sad story to tell: he was thrown out of a car when he was younger and suffered serious injuries to one of his front legs. 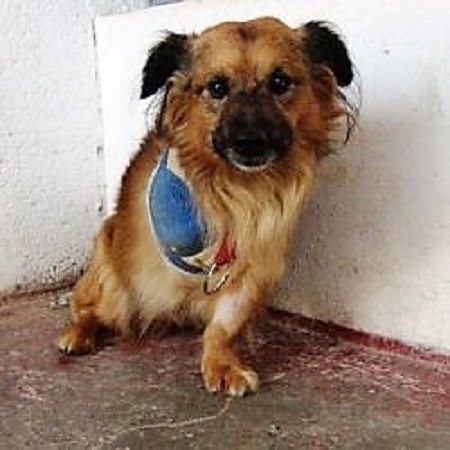 Due to the severity, sadly Manny had to lose his leg, but he copes very well on three legs. Unbelievably following that, he was also badly abused over the years, suffering broken ribs and used as target practice by someone with a BB gun. Manny is a dear Crossbreed who is 7 years old and, luckily, he was eventually rescued by a loving family whom he came to trust and love. Unfortunately, his family’s circumstances have changed and so Manny is looking for a new family to learn to love with the help of Animal Rescue Cymru in West Wales. 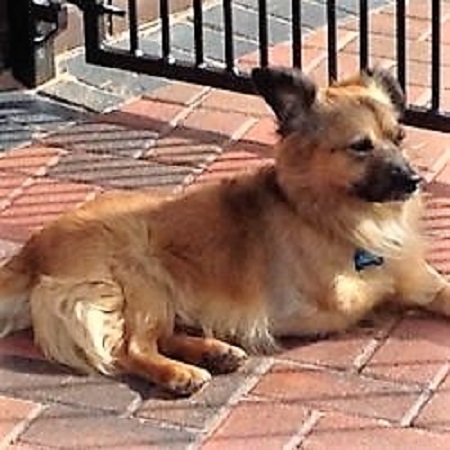 Due to Manny’s past, he can be understandably a little unpredictable and so he is looking for an experienced, quiet home without children and other dogs where he can live a loving, if slightly independent life. Manny has been neutered and has no known medical needs, though, as a tripaw, he will never be as active as a four-legged dog. 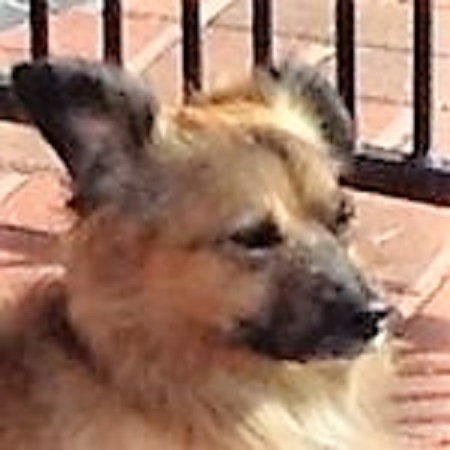 Please mention that you saw Manny on the Oldies Club website.